First up, The FAN FAVORITE from last week's party was this fun laundry room reveal shared by Inspiration for Moms! 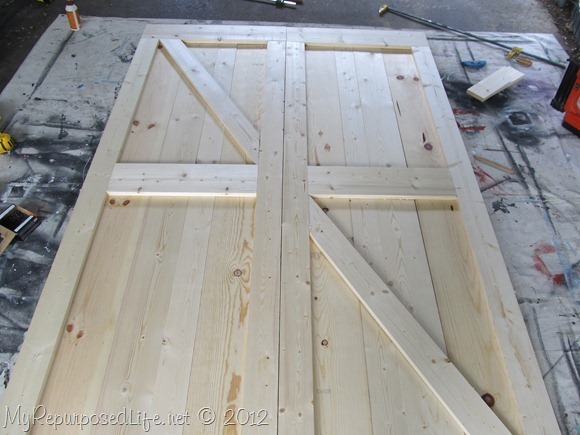 My Repurposed Life shared how she made her faux barn doors. Great tutorial! I just love barn doors! 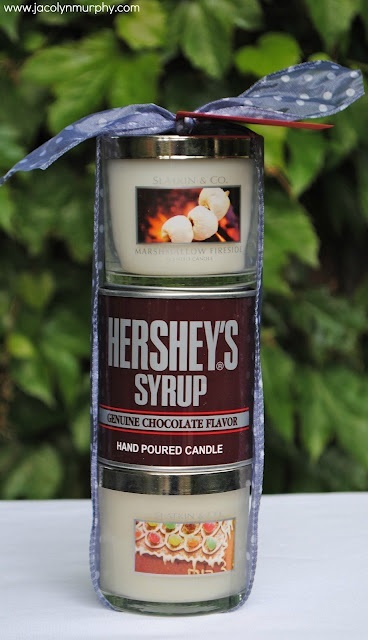 Next, Jacolyn Murphy shared a clever s'mores candle hostess gift. So cute! 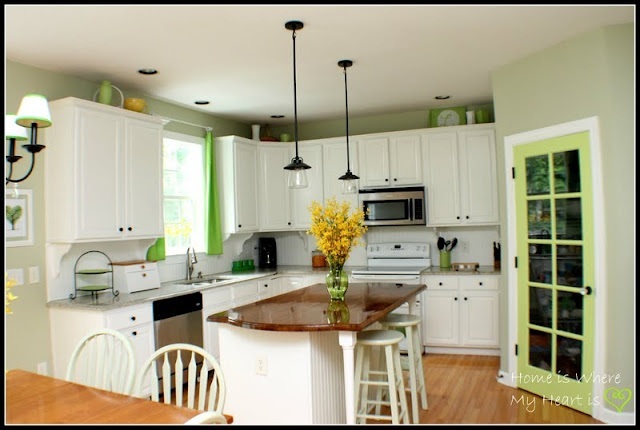 Home Is Where My Heart Is shared her fabulous kitchen redo. I just love me a white kitchen! I may be just a bit addicted to gallery walls. I adore them...and this corner gallery wall shared by Little Things Brings Smiles is awesome. I'm filing this idea away on my to-do list! And last but not least, I wanted to share this bright and happy bedroom redo by Johnny in a Dress...so many cute ideas in this room! I LOVE that Corner Gallery Wall! Thanks so much for hosting Wendy! Yipee! I am so, so thrilled to have my S'mores candles featured. Thank you so much! Questions about the link back ... does it have to be in the post or just a button placed anywhere on my blog? Thanks for hosting! It is so fun to look through all the projects and ideas! Thanks so much for hosting - can't wait to browse! Another week, another great party! Thanks for hosting your terrific party! I'm really excited about my link this week -colorblocking with flowers. Thanks for hosting so that I can share it! Hello and good morning! I was making homemade yogurt, so naturally had to make some Simple Tasty Granola (# 249 ). Using Agave Nectar, some oats and a few nuts, I have a yummy treat waiting for me every morning. Hope you enjoy my recipe! Thanks for hosting the party once again. Have a great week! thanks for hosting another great party. So many interesting posts. I`ve added you to my linky parties list. that IS such a cute yellow and white bedroom and love the kitchen makeover. Great highlights. Have a wonderful weekend. 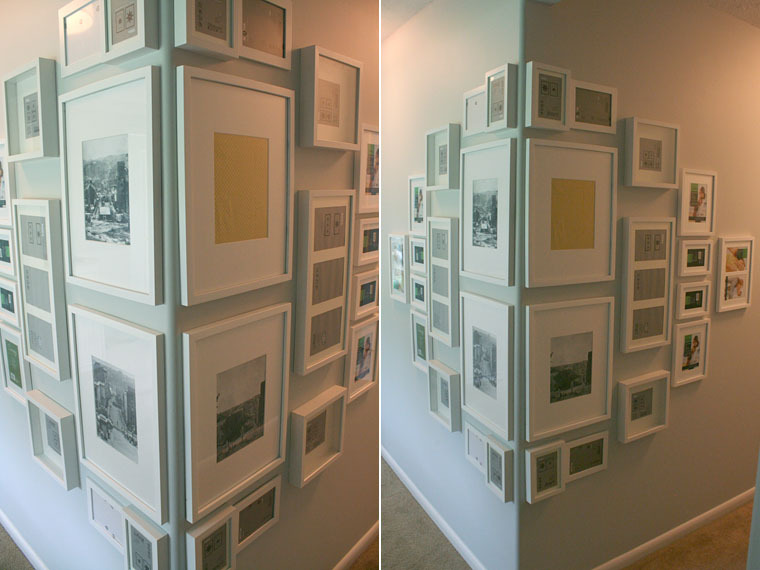 I love the gallery wall! I especially love anything FRUGAL. Thanks for hosting a great party! better late than never? Thanks for featuring my DIY Barn Doors! Hope to see you next week at Haven!